Everyone loves the coziness and warmth of a crackling wood fire, but as wonderful as wood is, there may come a day when you’d like to convert to gas. The convenience of gas means no more stacking and hauling wood, no more ash to clean up, and no more strategy required to start a fire. A remote control or wall switch magically ignites the flames. Homeowners often find they “make” more fires and enjoy their fireplace more frequently after converting to gas. If you are contemplating converting, the best option is to replace your existing fireplace with a direct vent gas insert, which are dramatically more efficient. Instead of losing heat and energy from the draft of an open-masonry hearth, they are closed systems that propel warmth into the room, and even better, they're controlled with the flip or a switch or the tap of a remote. 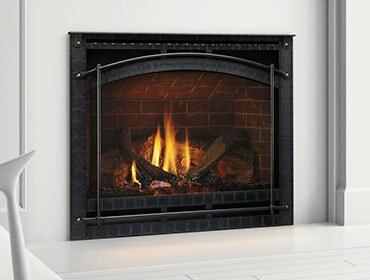 After converting to a gas fireplace insert, expect your love affair with your fireplace to be rekindled. Interested? Get started today by connecting with a local Heatilator dealer.